With their fourth studio album in six years, Tangled Country, The Honey Dewdrops continue to weave their addictive sound...even as they branch out from their Appalachian folk roots into Americana, blues and singer-songwriter genres. 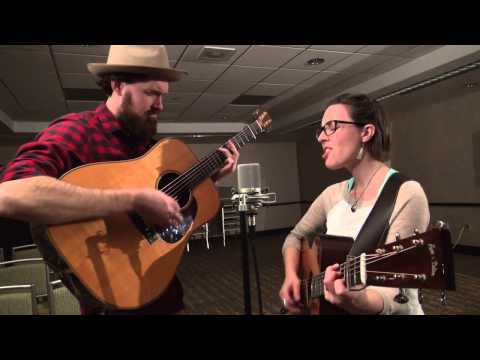 Characterized by compelling, earthy harmonies – so tight that they often sound as if one person is singing in two compelling voices – The Honey Dewdrops are comprised of a young, multi-talented husband-wife duo, Kagey Parrish and Laura Wortman. Both sing lead and harmony, play acoustic guitar, and have written all ten songs on this album. In addition, Parrish plays the mandolin, and Wortman plays banjo and harmonica. But it is their incredible musical chemistry that transcends their individual talents to create something truly unique. The songs themselves feature timeless melodies that sound as if they’ve always been there, just waiting to be discovered. Like a quick-running mountain stream, the music flows effortlessly and naturally; simply, yet shining with ripples of complex voicings. This effect is achieved, in large part, by the brilliant, fluid guitar work of Kagey Parrish. Even the most intricate licks sound effortless...as smooth as butter...in his hands. 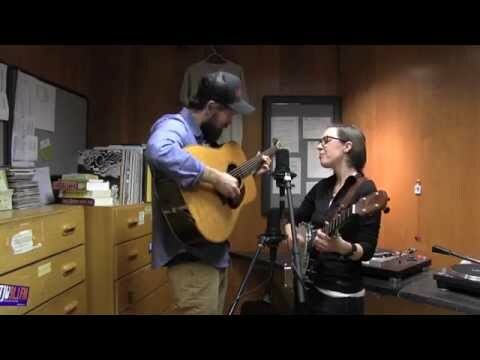 Equally important are the vocals of Laura Wortman...one of the most beautiful, authentic voices in folk music today. Whether she is singing a Country Americana song, a contemporary roots ballad, or a singer-songwriter number, her finely nuanced delivery leaves no doubt that there is a direct line from her heart to her vocal chords. Is the loneliest, loneliest, loneliest. The album lives up to her words. It is beautiful. Tangled Country opens with one of the many “beautiful things” on this CD, a well-written song called Same Old. Its relatable theme talks of the tedium and monotony of a humdrum life and the desire to dump it all, sell the house, quit, and take to the road. There are some really killer lyrics in this song, such as, “Same old mirror looking through me”.....or, “Same old me, same old you, same old elephant in the same old room.” And these down-to-earth, everyday truths are underscored by a good ol’, country-style, pedal steel guitar. while Parrish’s guitar poignantly echoes this theme. Horses is yet another special song, poetic and touching. It deals with our inner world of half-broken dreams, untamed feelings, and an imperfect life through the analogy of little horses in our mind. And they plead, “Please don’t break me, Take me how I am.” The horse imagery is endearingly reinforced by a little “clip-clop” sound in the beginning made on the banjo. And there is so much more: a cool blues song, with Wortman playing harmonica and Parrish singing lead.....a Celtic-flavored ballad in a moody minor key with a fabulous guitar solo....a contemporary song about the challenges facing young adults as their world changes...a classic Country song about dealing (or rather, not dealing!) with pain, accented by Laura’s harmonica, drums, and pedal steel....and a singer/songwriter number with a soft, old-time feel and some beautiful vocal “lifts.” Lastly, there is a soothing, mellifluous instrumental number with Parrish’s guitar and Wortman’s banjo taking turns in carrying the melody. Tangled Country is the first album that The Honey Dewdrops recorded all in one place (in Baltimore) and the quality of this production definitely shows. It was produced, engineered, mixed and mastered by Nicholas Sjostrom, who also plays bass, piano and Wurlitzer Piano on the album. Other guest artists are Dave Hadley on pedal steel and E.J. Shaull-Thompson on drums. I’m happy to report that from the instant it was released in May, Tangled Country soared to Number 3 on the Folk Music Radio Airplay Charts. It certainly deserves that kind of attention. The Honey Dewdrops will be sharing the bill with the Honey Whiskey Trio on September 26 at Russ and Julie’s House Concerts in Oak Park (Agoura Hills).